Have you let your knowledge slip? How many of you have looked at your level of knowledge recently, and I mean really looked at it? How many of you have taken the time to think back to how you felt when you were really ‘on top of your game’ and were pretty much up to date with all of the latest developments in the treatment guidelines for your patients? How many of you have ever actually reached that level of knowledge when you feel truly competent in caring for your patients? Now for the harder questions…..
How many of you have let your level of knowledge slip? How many of you have not picked up an EMS text book or journal since the day you left your training establishment? How many of you only attend courses that are necessary for one reason or another and are required by your employer? How many of you are a fraction of what you actually could be? Hard questions to ask yourself, yes? Instead of this being a ‘who does he think he is!’, or ‘he thinks he knows everything’ type of post, I thought I would go with the truth. That really hit a cord with me. I have made it my own personal goal in my career to know as much as I possibly can about the potential situations that I will come across in my day to day duties. I have read much over the years, and you can still always find me checking up on a final diagnosis on a patient that I wasn’t 100% sure of, or quizzing a doctor about something new that I maybe don’t understand as much as I feel I should. I certainly have that responsibility to my patient and their loved ones! When Mrs Smith calls 999 in 10 minutes time and I have to quickly put my netbook away and head off to her assistance, she should expect that the care provider that will come through her door has no less than the highest level of knowledge in pre-hospital care. Anything less should not be acceptable to her or to the chap walking through the door. It’s not good enough to have the facts in your head anymore; you need to know everything else that goes with it. You need to be able to recognise the problem in hand whilst considering the differentials. You need to be able to ‘dose that kid!’ without having to rifle through your guidelines book or scraps of paper that you may have taped to the inside of a note book (however, I will always check my mental arithmetic with the guideline book when working out paediatric doses). I have a responsibility to my patients and I also have a responsibility to myself. It is part of my registration with the Health Professions Council that I maintain an up to date depth of knowledge and hold an awareness of the best evidence based practice. It is so easy to fall into a routine of ‘thinking you know it all’ and feeling comfortable with what you do day in and day out. I used to pride myself that anyone could come to me for advice about anything clinical and I would have an answer for them. I know I will never ‘know it all’ but I used to think I knew a hell of a lot! But I have been getting lazy. All of the blogging I do, and all of the excitement with the Chronicles of EMS has worked its way in to the time that I may have picked up a journal or read through a text book. Now don’t get me wrong, I have developed personally in many ways from the contact that I have with some of the most forward thinking minds in EMS. I have learned a great deal from reading the 95 blogs that I currently subscribe to, but this is a different type of knowledge than what I have been neglecting. On my way in to work tonight, for some reason I got thinking about Amiodarone (don’t ask me why, it was just there). Whilst I could remember the dose, and indications, I couldn’t remember all of the ‘nice to knows’ that were once committed to memory but have now disappeared to the recesses of my memory. I know these aren’t essential. But I have always found that knowing the ‘nice to knows’ as well as the ‘need to knows’ is what makes the difference in a paramedic. If I or one of my family falls ill, I want a medic to walk through my door that not only knows what to do for me, but also why. I want a paramedic, who doesn’t have to umm and arrr before deciding on a course of treatment, without having to ask his partner or look in his book first. I want that paramedic to have a level of knowledge that far exceeds what is expected of him to pass his exams. Is that expecting too much? Again though, I am probably preaching to the choir. 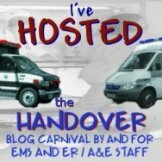 If you are reading this blog and are in EMS, then you obviously have a very healthy interest in what you do and are probably up to date already. However, just take a moment and think about it. « Destiny, Fate or just good luck? In St John we have to re-qualify each year.Whilst I agree that the knowledge needed for passing the written exam is just a start point, the fact that you need to revisit your course notes and text books allows you to remind yourself of some of the things that have slipped from the memory.We also do a practical assessment (1x trauma scenario + 1x medical scenario). Paramedics are used to assess us and it is good to get their feedback as it is so easy to sit in your laurels.So overall I think regular skills assessments are a great aid to keeping knowledge topped up. Great post.When I took my promotion to field supervisor, I immediately noticed a “slip” of my knowledge. I probably only staff an ambulance about 1/4 of the time that I'm at work, and it's typically for special situations when we are extremely busy or have schedule openings. I really have to make an effort to read and and stay current on my core knowledge!You really hit the nail on the head with this post. I think continuing education is every EMS workers responsibility. Thanks for the great reading. I've come face to face with a deterioration in my skills over the last few months. For various reasons, (fate, destiny..lol), I've been doing private transport–read granny hauling to dialysis, for about 4 years. About 6 months ago I moved and was able to go back to 911 county work–Thank God!!!! I've been in this field, ems/fire, 9 years; and I know I was alot more on top of my skills 6 months out of basic class, than I am 5 years out of intermediate. Use it or lose it. I can take a mean set of vitals but IVs forget it. Last year instead of taking a short refresher, I retook the intermediate class because of this. Again various reasons I find myself in this place but they aren't important. What is of primary importance is providing my patients with the best possible care so this situation has to be remedied. Luckily I am not in that arena yet. I am towards the end of my second year in Paramedic school and most things are still kinda fresh in my mind. However I did notice over the summer after I tested out of my first year and started practicing as a “provisional medic”, that towards the end of the summer some of the sharpness had started to wear off.However, there are several blogs that I follow and they are great topic starters and encourage me to stay in the books. The reason I need to go all the way and get through Paramedic school- not the one I wish I could go to, unfortunately (too expensive/too far)- is because I constantly find myself in situations where I feel that, despite the fact that I have most of the same treatment options as a paramedic has in my state, there's something I don't KNOW about this patient/situation. I have the dots, but I can't connect them. Or, worse, there's dots I'm missing because I don't know what to look for or how to look for them.